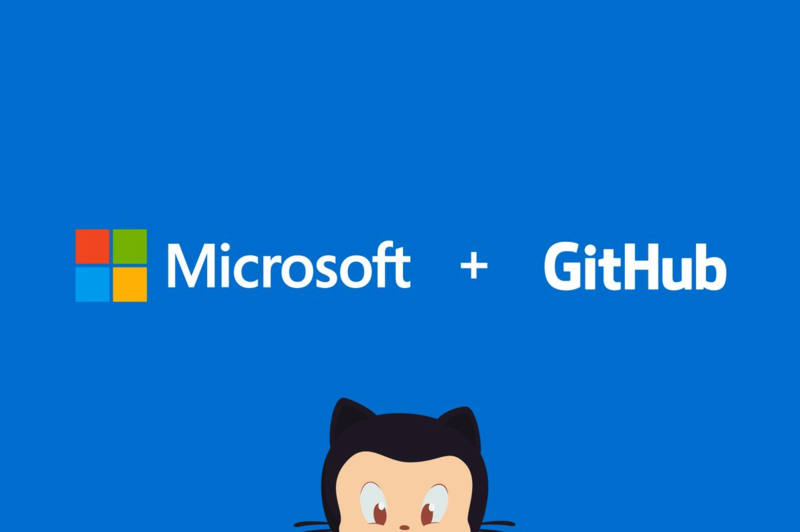 In the last couple of days there was a big fuss related to the acquisition of Github by Microsoft, there was a lot of activity and comments in different communities that I’m part of, also several posts related to that, yes, this is another post about that with my personal opinion. Worth to say that I’m writing this post based on my personal experience and with the things that I have read in the internet these days, I personally don’t have any inside source to know for sure anything that I’m saying here, so please, make your own conclusions. I remember in 2013, in PHPConference Ar, at the end of the event there was two Microsoft Executives that came to the stage to talk about the Open Source in their company, everybody was laughing and make jokes to them, however they were able to show all the Open Source products ready to use in the Azure Cloud and all the contributions that MS was doing to the Open Source community of PHP at that time. There is not a secret that one of the largest business units of MS is Azure and they provide a large amount of services based on open source products, as far as I know they are making more money with these kind of products than their own products (like windows). Let me be clear, MS is not the mother Teresa, is a big company and they are looking for profits. It’s clear that they have found the way to make money with the Open Source, that’s why they are betting on the Open Source, to continue with that strategy, they have the eye put on the Open Source world. After the fall of Borland MS was the best alternative for Developers, they had a large set of amazing tools for developers such as Visual Studio, Visual Basic, SQL Server, Visual C++ and the well known .NET. With the constant growing of the Open Source a lot of new products and languages such as Java, PHP, Ruby, Python, Gcc, MySQL, PostgreSQL enter to the market to compete with their products. They were doing an excellent battle making MS loose part of this market. Today they are back in the game with products like VS Code, .NET core, SQL Server for Linux and I think Github it’s what will empower MS in this new open source world for developers, they know that new developers wants open source products. Github as a business is amazing, since the early days the founders decided to not take any founding and build their business with their own funds, bootstrapping. They were profitable since day 1, something not common at all in the Valley. Their business is good and healthy. It’s obvious that the way how Github works and sales just works, I can’t see why MS will try to change the essence of Github business, they will might change some rules, some prices, but the basics of the business I think won’t change. Nat Friedman, the new Github CEO, is a legendary paladin of the Open Source World, Nat together with Miguel de Icaza were doing huge contributions to the Open Source with products like Gnome, Bonobo, Mono and now Xamarin. Together are one of the few persons in the world that were able to understand how to make money with the open source, they know how to be sustainable and accomplish the expectation of their users. They have been working side by side with MS since a long time, and I personally think these two guys are the ones that were digging into the head of the MS executives to push the idea of the open source, in other words, I think MS bets on the Open Source because of them. Sice the exit of Tom Preston Werner as CEO of Github I personally felt that the company is declining, no more new ideas or new actions; I think Nat will make a new and better Github. Know more about Nat here https://natfriedman.github.io/hello/. When I saw this I thought, WAT! Let me be clear with something, I’m a Gitlab user since 2013 when we have setted up our own Gitlab Server, since then I use Github for open source projects or if some of my clientes ask me to work with Github. I saw the evolution of Gitlab over these years and I think is an amazing product, even better than Github in many aspects. However, I’m seeing these people moving to Gitlab and I think is a dumb move. “I’ll move my project because MS is going to steal my code”, Really ? I think there is no reason to leave Github if you are satisfied with the platform, at least yet. They have not changed the Terms and Conditions, the have not changed the pricing, everything still works as always. If you have an open source project, everybody is seeing your code, no worries on that. If you have an private project, Do you think MS will check your code?, really? If you have private project, and you are doing the next internet like Pied Piper, you think that Gitlab is the safe move? Gitlab won’t see your code? What are you doing that you haven’t created your own repository? “Haaaa, but Gitlab is an Open Source product!”, now you care?, not years ago when Github was not an open source product neither. Okay. In my opinion, don’t was your time moving to Gitlab at least you are aware of the greatness of Gitlab and you want to move it because you know that is technically better, or in the worst case because MS changes the rules and you don’t like Github anymore. If you are as old as me you might remember when Oracle bought Sun and with Sun Java, Virtual Box and MySQL, everybody at that time was crazy “What is going to happen now”, “Larry Ellison is the Evil” “We are doomed” “Lets create a fork of MySQL” and a lot of other comments. Eight years later there is an entire generation of developers that doesn’t know about it and they are using MySQL, Virtual Box and Java. Oracle have never charged my because I was using Virtual Box or MySQL. Virtual Box and MySQL are working better than ever. There might be some special cases where the new licensing of these products affects the users, but is not the general case although even these users have alternatives like Open JDK or Maria DB. There will be always an alternative if the product is good and there is a large community behind the product. I’m not a MS fan, never was, but I want to recognize when something is good. I have faith in this acquisition and I hope to see more and better Open Source products from MS in the future.